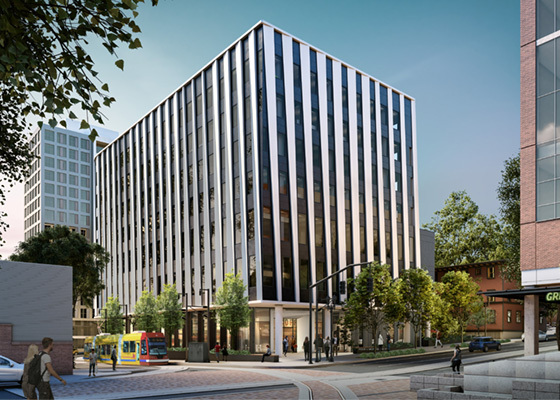 In an unusual collaboration, Portland State University, Oregon Health & Science University, Portland Community College and the City of Portland are locating programs, classrooms, laboratories and offices in a new, highly-sustainable 7-story building with ground floor retail. The Fourth & Montgomery Building occupies a ¾ block on the PSU campus and connects the university, Auditorium District and downtown. 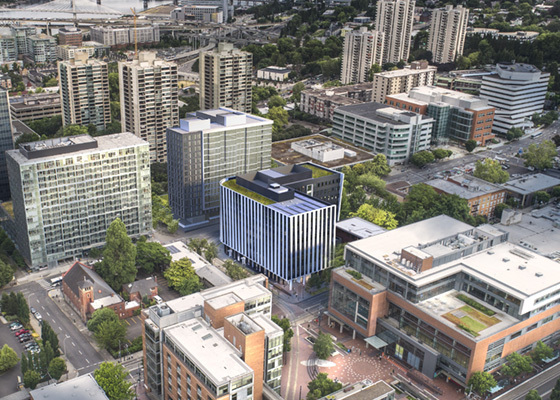 It is bounded by streetcar, light rail and bus lines. 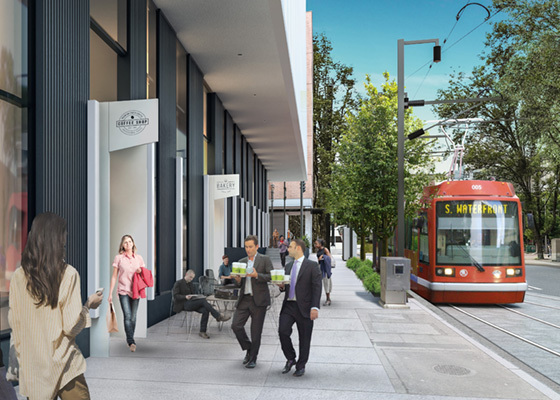 Mayer/Reed’s landscape architecture provides welcoming building entries and generous pedestrian circulation as an extension of the Montgomery green street. The main entry plaza draws pedestrian activity from PSU’s Urban Center Plaza across the street. A public courtyard provides space for café tables and stormwater gardens. Strong linear forms and a rich layered planting palette create variety of scale in the outdoor spaces.